Temporarily closed due to fire dangers. The highlight of the Backway to Crown King is the town itself and serves as a welcomed destination after a long day on the trail. Whether stopping for lunch or staying the night, it is well worth the time to check out the general store, saloon, and prospector mall. If you need supplies or a souvenir t-shirt, the general store is the place to go. It is also the place to go for Crown King's famous fudge. If you are looking for a cold adult beverage or a meal, check out the Crown King Saloon. Local musicians also frequent the saloon for good music. The Prospector Mall is also a great place to stop for supplies and a meal. Their breakfast is fantastic. There are also several cabins in the area that are available for travelers to spend the night. You can find any and all information about the services available in Crown King on their [website](http://www.crownkingaz.com). Rocky or undulated road surface. Rocks and less than 54" tall and/or vertical ledges less than 54" tall and/or near vertical ledges or waterfalls less than 10' foot. Tire placement not good. Can be steep and off-camber. 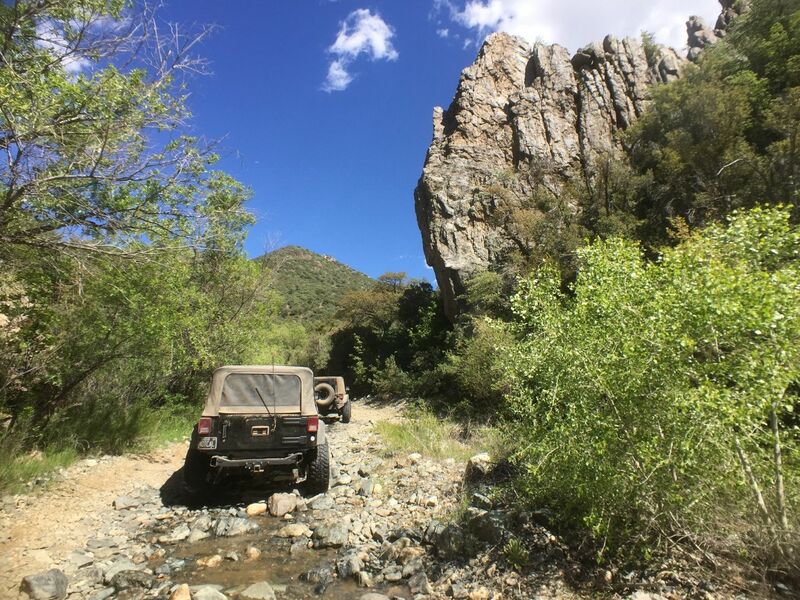 The Backway to Crown King is one of Phoenix's most popular trails. 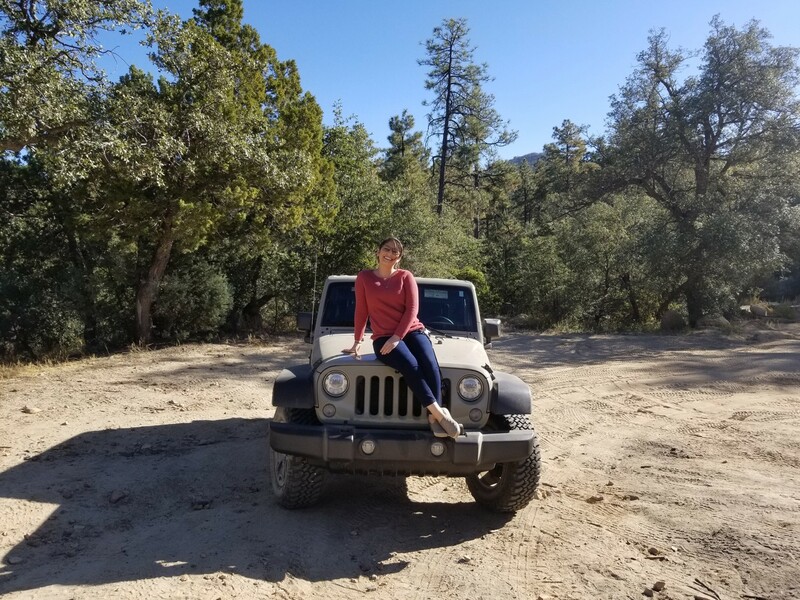 Situated in parts of the Prescott National Forest travelers will definitely get a taste of what this state has to offer for scenery. The beautiful part of this trail is that it can be as easy or as difficult as needed but 4x4 is still required. If you plan on trying any of the optional and more difficult lines your vehicle and your 4x4 prowess must be adequate. The trail begins as an easy dirt road following along the northern borders of the Lake Pleasant Regional Park and through some secluded residential areas. After turning onto the Crown King Trail at Waypoint 6, the adventure has started. 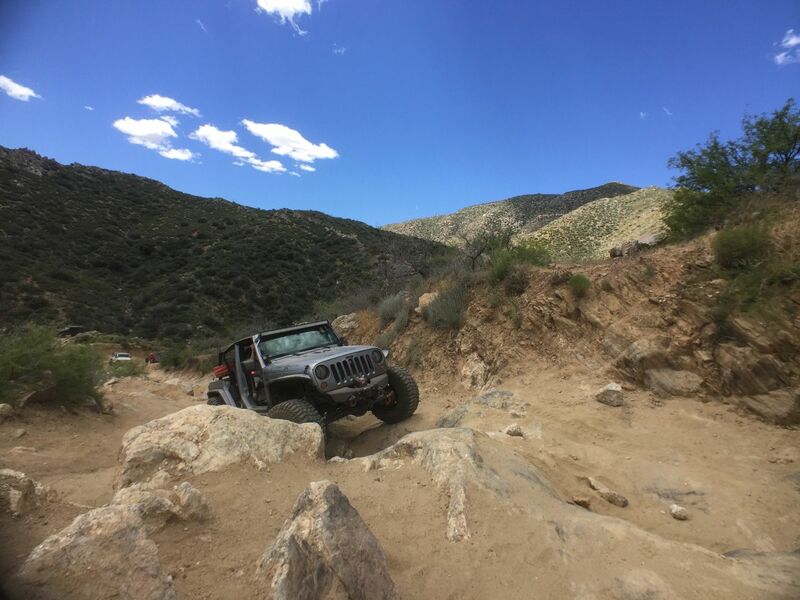 Gradually climbing to an elevation of 6441 ft before dropping into the town of Crown King, this trail offers tight shelf roads, steep rocky climbs with shelves, seasonal water crossings, and blind corners so please be careful. It is also very important to note that there is private property along this trail. Please respect all private property signs. At Waypoint 18, the road was recently routed down into the creek to serve as an alternate route around a private mining claim. The creek bottom is rocky but depending on weather and the time of year, this creek may have water in it. As such, obstacles under the water are not easily seen so please take care through this section of the trail. Also, please respect the miners’ wishes and do not enter into his property. It is also important to mention that in the winter months, depending on snow fall, the trail may not be passable. The snow can also create very dangerous situations on the narrow shelf roads. This is especially important after passing Waypoint 25. The descent past this point is on the north face of the mountain where ice and snow are the most treacherous. Please be prepared with the proper equipment, food, and water. Temperatures can also be very low so if you have to spend the night on the trail, please be prepared. 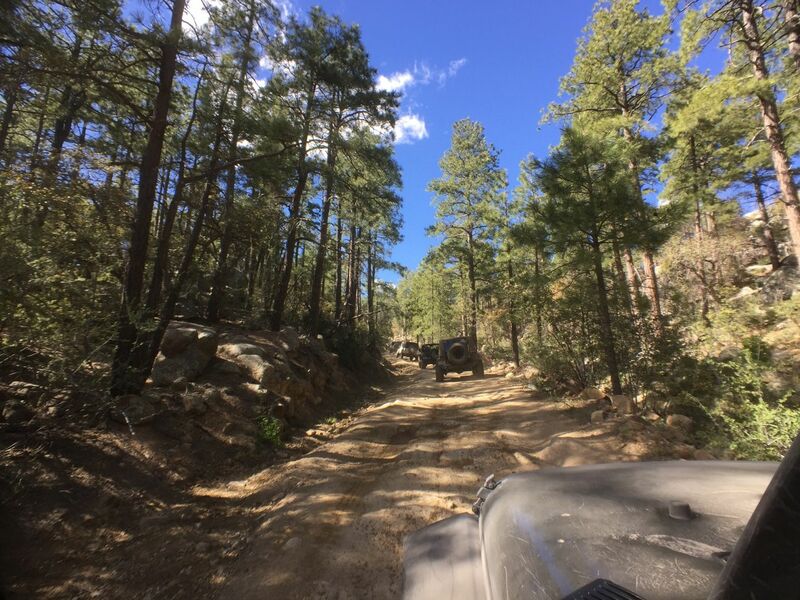 If an overland adventure is what you are looking for, the Backway to Crown King can easily be connected to the [Senator Highway (FR 52)](https://www.trailsoffroad.com/trails/76-senator-highway-arizona) for a scenic trip to Prescott, Arizona. 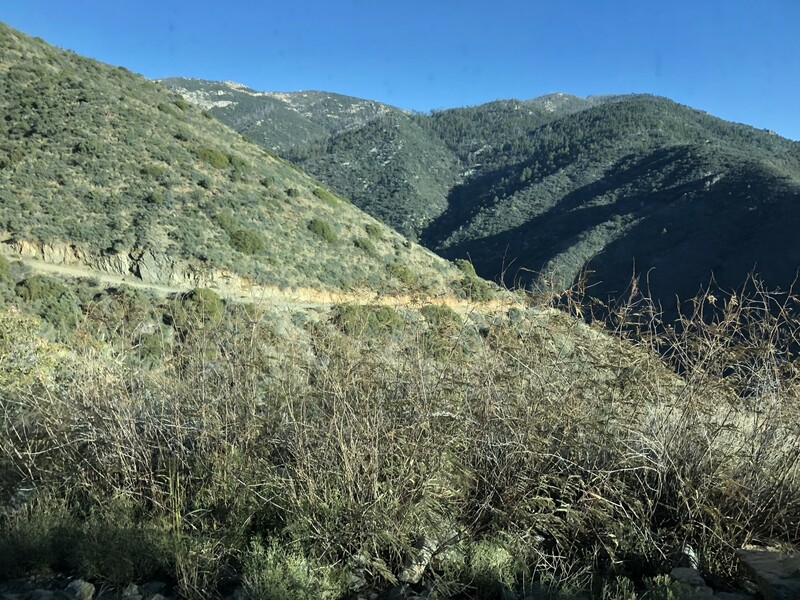 This trail is shared with all kinds of OHV users including: motorcycles, side by sides, quads, and 4x4's so please respect the rules of the road. During heavy snowfall, this trail could become impassable especially nearer to waypoint 25 and beyond. 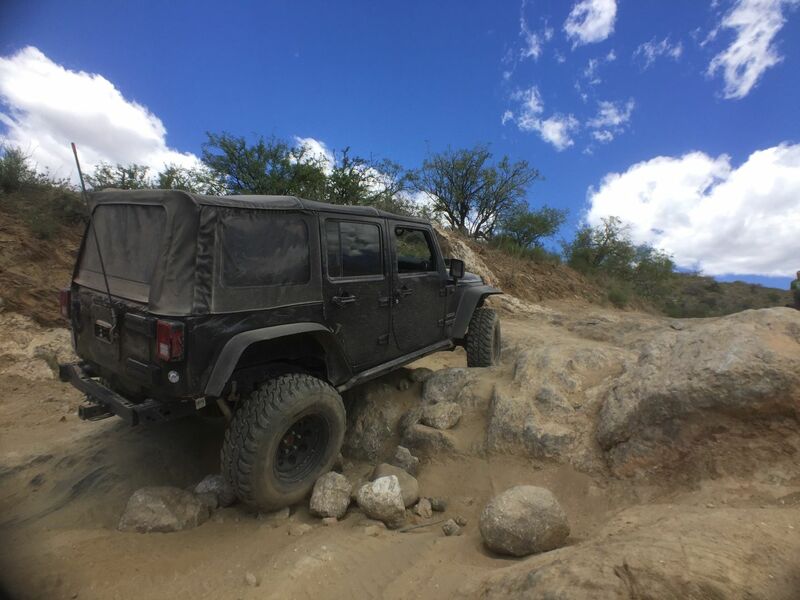 There is a nice wide shoulder here for airing down tires and disconnecting sway bars. The road turns to dirt at the Primitive Road sign. Turn right/north onto Cow Creek Road from Castle Hot Springs Road. There is a large staging area here on the right. Continue north on Cow Creek Road. Columbia Trail enters from the right/east. Continue straight at this intersection with Champie Road. Please be respectful of all private property signs. After crossing the cattle guard stay left and continue into the residential area. Please respect the signs and drive slowly. The "Crown King Rock," is the noticeable landmark here. Turn right and continue onto Crown King Trail. There is an optional line here to the right. Easier to the left and more difficult to the right. Both lines converge to continue on the main road. There are optional lines here to the left with varying degrees of difficulty. Easier to the left and more difficult to the right. Both options converge to continue on the main road. No history on this stone chimney could be found but is certainly odd to see it here. Here is another optional line on the trail. This line is steep going with decent sized ruts. A mistake on this optional line could be catastrophic. It should only be attempted by skilled drivers with properly equipped vehicles. Both lines converge to continue on the main road. While the main road continues straight then bends to the right, the optional line here crosses the road and continues on going uphill for a very long obstacle, rejoining the main road above. While the second pictures shows where the optional line crosses the main road, the third pictures shows not only the length of the obstacle but also where it rejoins the main road. There are two lines at this Y intersection. Both lines converge to rejoin the main road. The main road continues to the left here while the more difficult line is on the right. The line on the right is steep, off camber, with rocky ledges, and an exposed shoulder on the right. This line is for experienced drivers only with well equipped vehicles with good suspension articulation and traction aides. Both lines converge to continue on the main road. The more difficult line here is on the left while the easier is to the right. Both lines converge to continue on the main road. The easier line is to the right where the more difficult line is to the left. Both lines converge to continue on the main road. The easier line is to the right. The line to the left requires good suspension articulation. Both lines converge to continue on the main road. The name comes from the topographical map and although no history could be found on this location, this spot is a great place to pull over for lunch or to simply take a break. It is a fairly large area which makes a perfect spot for large groups to stop. 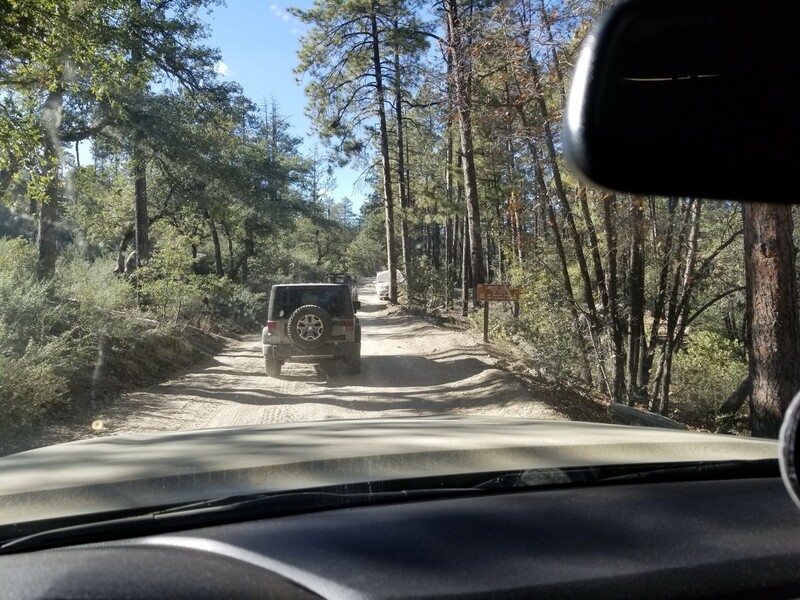 Now within the Prescott National Forest, the road is now numbered FR 711. At this location, FR 711 has been routed down into the creek. A miner has exercised his rights to his claim here and as a result the road has been re-routed. Please be respectful of the private property signs along the way. This is the entrance to the mine located here. It is clearly marked with signs, please be respectful of the signs and keep out. Turn left at this Y intersection to find Fort Misery. Both roads converge on FR 711 to continue. Fort Misery was built by a man named Al Francis and is not to be confused with the Fort Misery, "Arizona's Oldest Log Cabin," at the Sharlot Hall Museum in Prescott, Arizona. Fort Misery was said to have been named by it's builder either by the nearby Misery Spring or by the living conditions at the time; [Arizona Pioneer and Cemetery Research Project](http://www.apcrp.org/Fort%20Misery/Ft_Misery_010708.htm). FR 711 continues straight and bends around the corner to the right. The optional line here to the right converges with FR 711. A sobering reminder here on how things can go bad quickly on the trail. This car may very well be a new addition to the trail as it was not recognized as being there on the last trip to Crown King. This memorial was placed here within the last couple of years to pay respects to a couple who lost their lives on the trail. The memorial was in very good condition and it was apparent that other fellow travelers have stopped to pay their respects. FR 711 intersects with FR 192 here, FR 192 will be used to continue on into Crown King. FR 192 enters from the left. Keep right and follow the road uphill. This is the highest point on the trail at an elevation of 6441 ft. The remainder of the trail is on a northern facing slope. In times of inclement weather conditions this is where the trail can become dangerous especially in the ice and snow. The trail now continues downhill towards the intersection with the [Senator Highway (FR 52)](https://www.trailsoffroad.com/trails/76-senator-highway-arizona). FR 192 intersects with the Senator Highway (FR 52) here which comes from the left/northwest. There is a stop sign here. This is a pretty heavily traveled area now so please take care and stop at the sign before continuing on. Continue straight on FR 52 to continue on into Crown King. FR 52 intersects with Crown King Road (FR 259) here. A left turn here will lead into the town of Crown King. This is a pretty heavily traveled area so please take care and stop at the sign before continuing on. Turn left/north here onto Main Street to find the town of Crown King. Welcome to Crown King! Parking can sometimes be difficult to find but please be respectful and find a designated spot along the road to park. Travel west on Carefree Highway (Hwy 74) 11.5 miles to Castle Hot Springs Road at mile marker 19, Lake Pleasant Regional Park. Turn right and travel north 5.3 miles to 'T' intersection and turn left/west to continue on Castle Hot Springs Road. There are primitive camping spots within the [BLM land area](http://www.blm.gov/az/st/en/fo/hassayampa_field_office.html), as well as around [Lake Pleasant] (https://www.maricopa.gov/parks/lake_pleasant/Camping.aspx). There are camping spots along FR 192, the Senator Highway, and Crown King Road. Please only use spots with existing fire rings. They are on a first come, first served basis. And please remember to [Tread Lightly](https://www.treadlightly.org). No special permits are required. Q: How can I save for offline? A: Hi Dennis, you can download the GPX file and follow the track and waypoints in your favorite GPS navigation app that has offline capability. Q: I'm grateful for the gpx file from the Phoenix area, but what about coming towards the trail from Prescott area? Do you know of a gpx file from that way? 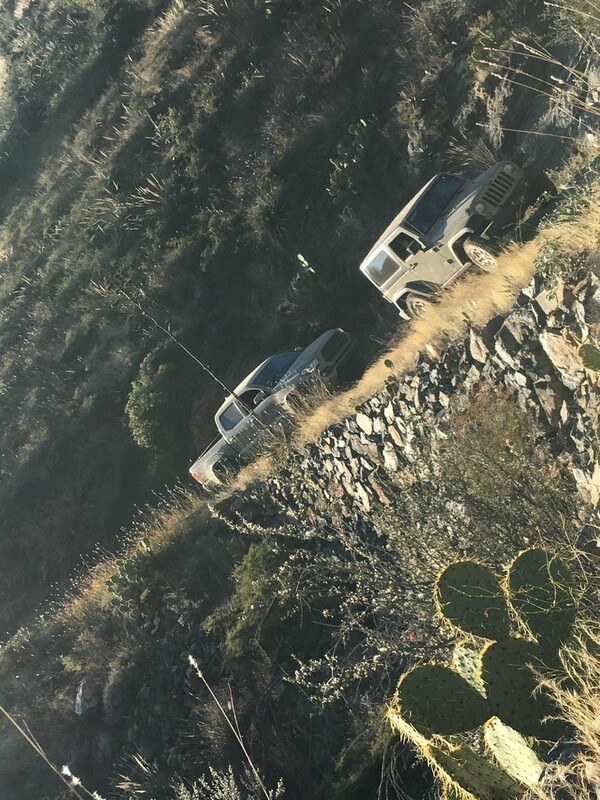 A: Hi there, check this link: https://www.trailsoffroad.com/trails/76-senator-highway-arizona It's my writeup for the Senator Highway. This will take you to Prescott or, Crown King if you reverse the route. 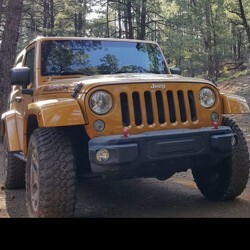 Thank you for checking out Trails Offroad. 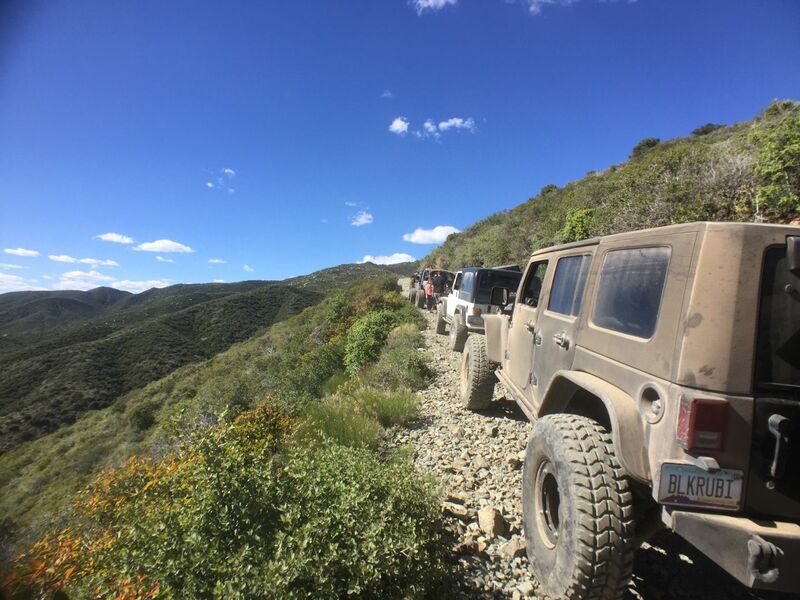 Q: Are there any times of year that the trail shouldn’t be driven? I’m thinking about doing it sometime in January. A: Hello Jackson. In the past snow and ice can be heavy near waypoints 25 and 26. This is on the north face of the mountain and have been particularly slippery in the winter time. Not impassable if you are prepared. I wouldn't suggest you go alone either. A: Hi, there are a few places that you will want take your time and watch your wheel placement where 4x4 could be necessary. But I think you should be fine. The creek bottom near the mining is rocky but just take your time. Watch the video and have a look. You won't be taking of the optional lines most likely. Oh and watch for all the side by sides. Have fun and get some fudge at the crown king general store. Q: Since the trail was rerouted into the creek near the mining claim - how much of a pain has it become? I last ran the entire trail in November in a stock '15 Cherokee TH with little trouble, now I'm not sure I can traverse the new reroute. A: Hi Ryan, the detour down into the wash is pretty well marked with signs. The creek bottom itself is pretty rocky but not too bad as long as you take your time. The last time I was up there, there was about 18 inches of water flowing in it. Take your time and you should be fine. The exit can be a little tricky if it's wet. Just don't go alone. We went out and did this trail again yesterday. Amazing trail, we've done it 5-6 times, however, this was by far the hardest. A lot of running water, all passable, but very wet tires. Towards the end there was an obsticle that had a huge line and people were turning around. 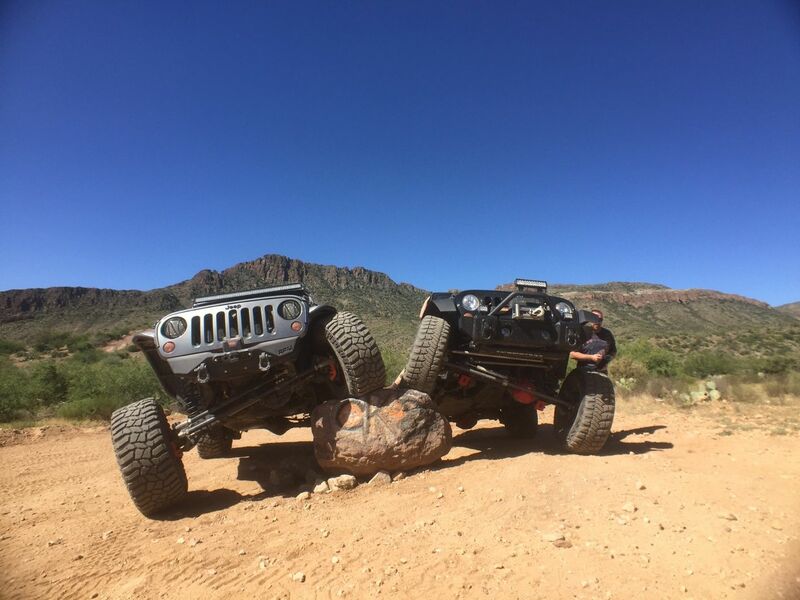 JL Rubi w/ 35s and we struggled to get up this. We went out in a JL Sport with 33s about a year ago and had no problems in this spot, so big difference. This was an amazing trail. We did this trail on our way out of Crown King. 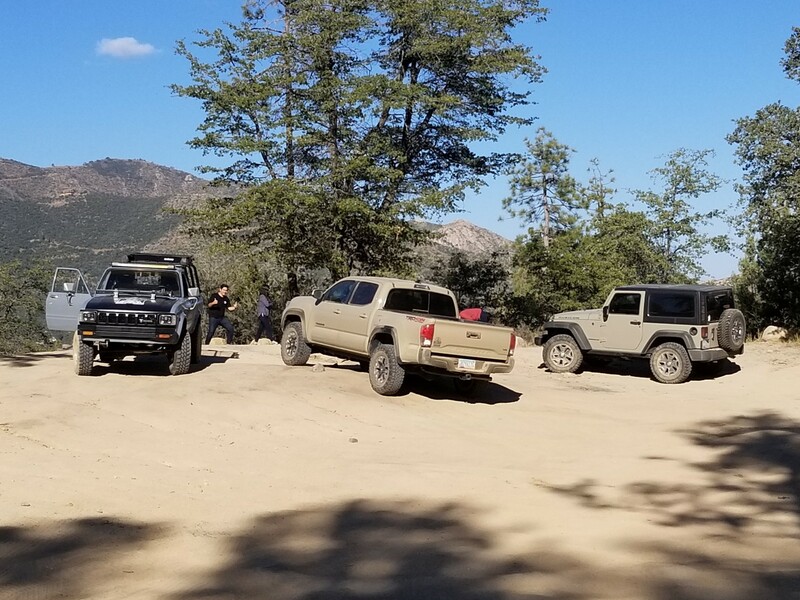 This was the very first trail I've ever done and I took my STOCK '17 JK and husband took his '17 Tacoma TRD. It was a bit difficult in some areas. We were still on the trail after dark which was a kinda scary but so worth the experience. We will definitely be coming back soon. Awesome day. We did this on Easter Sunday. Wife and son took stock '18 JL Sport. Did a couple of the obstacles. However, we did get stuck about 22-24 miles in going up the path and we really thought we were going to have to back down and turn around. Large rock in the middle of road. Got it stuck pretty bad at one point, but was able to get unstuck. Did a LOT of rock stacking and got up and over, after that no problems. About 2-3 miles before that there was a 2WD Tundra completely stuck on his rear differential. Had to jack him up and put rocks under to get him clear. I would not do this again stock, but we'll be getting a lift in the next few weeks and we'll be out there to do it again. Great drive!! What a perfect day!! The sky and clouds were amazing looking. We had a larger group that moved along pretty good. Some of the options where tougher than normal but we had no issues. Lots of side by sides on the trail. Over 20 so keep an eye out. The water in the stream was little but still there. All in all a great day.